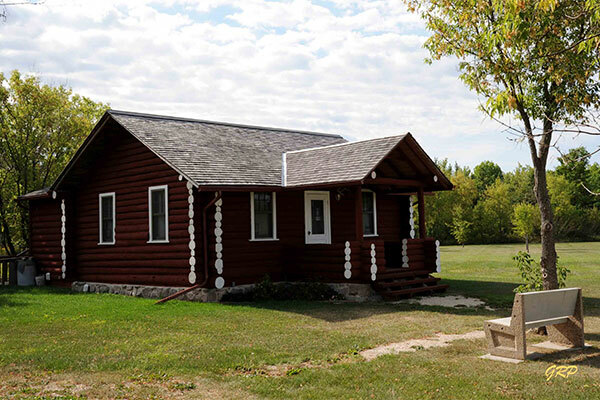 This log cabin, a municipally-designated historic site in the Rural Municipality of Lac du Bonnet, was built around 1937 by Norwegian immigrant Hans Erickson for his daughter Linnea following the style of workers’ cottages at the nearby Pinawa hydroelectric dam site. Erickson was one of the workers who helped to construct the generating facility and also cut wood for the plant’s boilers in winter. He was one of the first to receive a homestead grant and he supplied the company store with milk from his farm. The modest cottage is the only remaining log structure from an era that ended in 1951 with the closure of the hydro installation and abandonment of the nearby town. The building stands at Halliday Park where it is operated as the Lac du Bonnet and District Museum. Some restoration of the building was done as part of the Manitoba Prairie Icons Project. 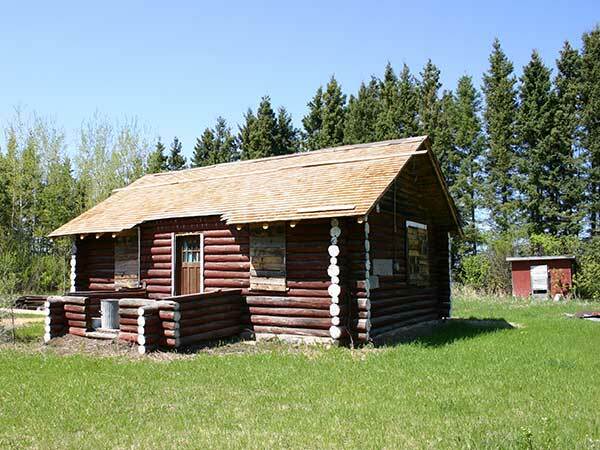 Erickson Cabin, SE 6-15-12 E Lac du Bonnet area, Manitoba Historic Resources Branch. We thank Leon Clegg for providing information used here. This page was prepared by Ken Storie, Gordon Goldsborough, and George Penner.